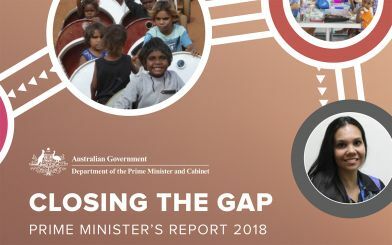 The narrative around teaching Aboriginal children with a disability has to change if outcomes such as those highlighted by the Close the Gap report are to improve, a workshop at Aboriginal Members Conference was told. Federation presenter Claudia Vera said the aim was for the union and teachers to agitate for early systems of care and support for Aboriginal students rather than reactionary measures such as discipline and control. “From a young age, Aboriginal people with mental and cognitive disability are dealt with by systems of control rather than systems of care and protection,” Ms Vera, the Officer attached to Federation’s Special Education Committee, said. The conference workshop was designed around the Organising for Intervention – Accessing teaching supports for Students with Disability seminar but shifted the main focus to Indigenous education. A decade since the the Close the Gap framework to address Indigenous disadvantage was introduced, over-representation of Aboriginal people with disability in Australian prisons persists, with seemingly little change to the early childhood experiences and patterns of disadvantage experienced by Aboriginal children who end up on a pathway to the criminal justice system. One participant raised the concern that “young Koori parents who have children with special needs, may not feel they’re as educated or as confident to have these conversations with the teacher or the learning and support team”. Ms Vera said such issues were the start of a really critical conversation around disability and Aboriginal students. “We know about compounded disadvantage, we’ve got kids with low SES we know they present more in terms of mental health, she said. “As a union have to talk about how it can be improved and certainly in terms giving us the tools so we have got the skills commensurate to meet the need that’s out there. “With the laws and policy we have in place, there should be a lot occurring to help disadvantaged and disabled students. What I invite you to do is to agitate in terms of how we actually bring those rights all the way down into our classroom and what is needed from your union to support that work.